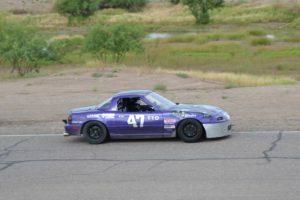 Featured Driver Archives - NASA - Arizona Region | We Drive Harder! This Who’s Who started a few months ago when Tage asked Hal Dunn if he’d like to be the Series Director for our PT Race Classes. For months, we went back and forth but never quite found time to sit down together. I’m glad we finally had our “interview” because I realized I knew very little about Hal even though he’s been racing with us for years! Hal spent 23 years in the US Army that began when he enlisted in 1971. By 1974, he had graduated flight school and was flying Cobra Helicopters on his own. Over the years, he has flown over 45 different types of aircraft and has lived all over the world including Germany and the Marshall Islands. Ironically, while living in the Marshall Islands he was part of a Sail Boat Racing group where he had to figure out “handicaps” for the different types of vessels that were competing. 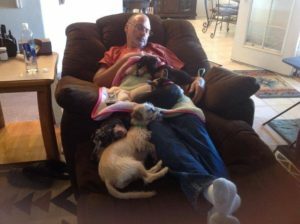 Eventually work led him to Yuma, Arizona where he has made a home for the last 15 years. 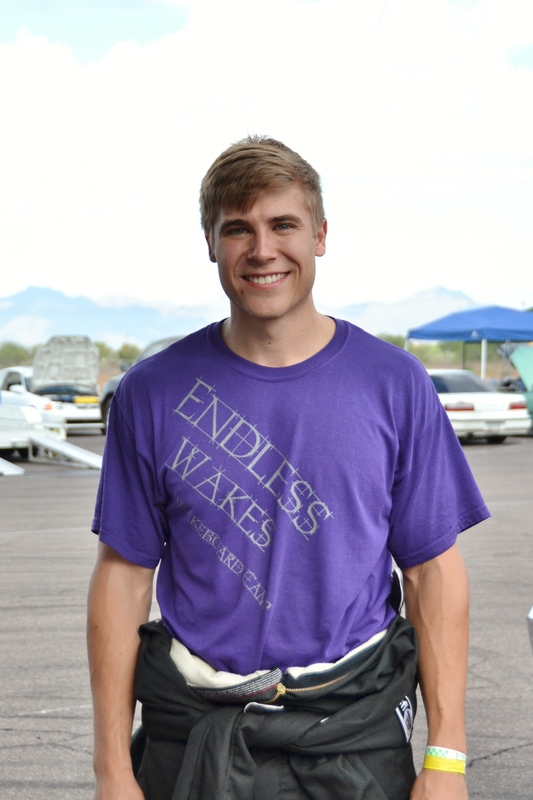 He currently owns a company that maintains and pilots 5 corporate jets out of Yuma. Hal first learned about NASA from an advertisement for the American Iron group. Shortly after reading about the the AI group he drove up to Phoenix International Raceway to see a NASA AZ event. Much to his disappointment, Hal found that this region had ZERO Mustangs driving in AI. 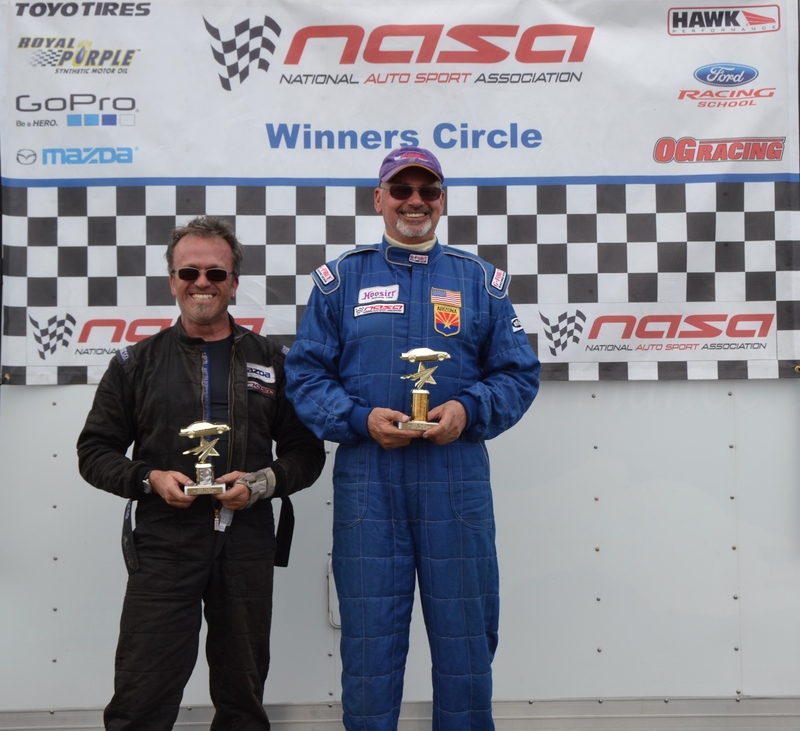 Thankfully, he ran into Norm Hamden and was signed up for DE1 by the next event with Norm as his instructor. 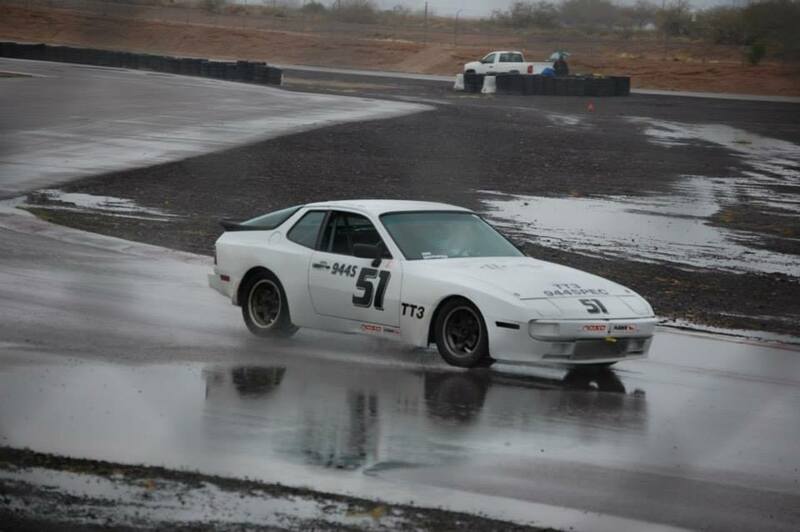 Hal progressed quickly to race group and was soon driving competitively in the 944 Spec group (Norm has a way of getting people to run that group!). Between 2006-2009 Hal drove regularly in 944 Spec but after ongoing car issues and incidents he decided to take a break. 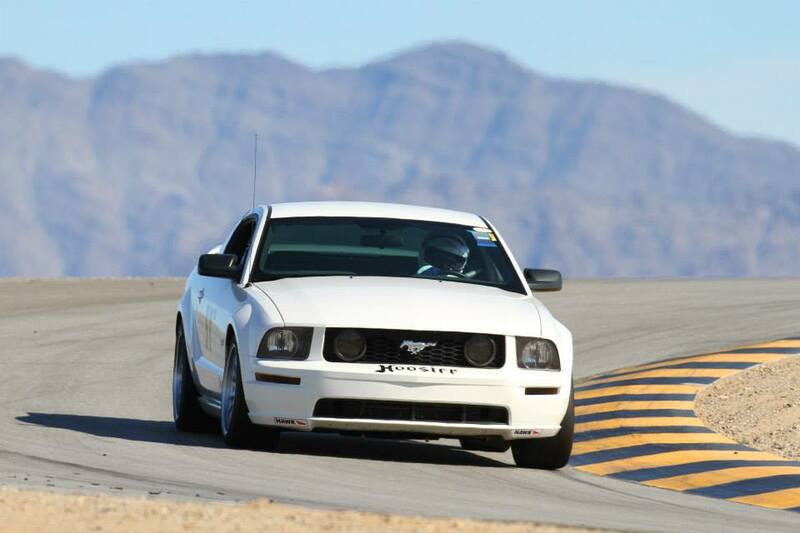 His break was short lived and less than a year later he was back driving his 2006 Mustang in TTB. Sadly, in May 2012, his beautiful Mustang and the wall near start/finish at INDE had a little “incident”. After mentioning a new car he had read about, his son arranged for a salesman to bring the new car by his house for a “test” drive. Hal laughed as he told about the test drive of a lifetime with a very enthusiastic salesman. And just like that he was the proud owner of a new 2013 Scion FRS (just not THAT one LOL). The FRS has proved itself a great car. With what Hal considers “light” modifications, he has been having a blast driving in both TTC/D and PTC the last few years. Some highlights of Hals time with NASA have been Nationals at Miller Motorsports Park in 2013. Hal described the feeling being overwhelmed as he took in the facility and excitement of the event. He proudly finished 4th in TTD that year. He also remembers checking off an item from his bucket list 30 some years later. In the 1970’s he flew a Helicopter over Road Atlanta and it instantly became a bucket item for him to drive. In 2014, he finally realized that dream as he drove in the East Coast NASA Nationals on Road Atlanta. And with much emotion, Hal describes one of his favorite moments within NASA AZ. After hitting the wall at INDE Motorsports Ranch, Hal describes how Jason Griepentrog (who he had just met that event) took the time to sit with Hal and make sure he was ok, then stay late at the end of the weekend to help load the car back into his trailer. This year Jeff Abrams and Hal have been battling it out in both TTC and PTC. It is tight racing between the Scion FRS and Mazda Miata. Every race is a real competition with each of them going back and forth between 1st and 2nd place podium finishes all season long. Hal happily describes this year as the most fun he has ever had on track. 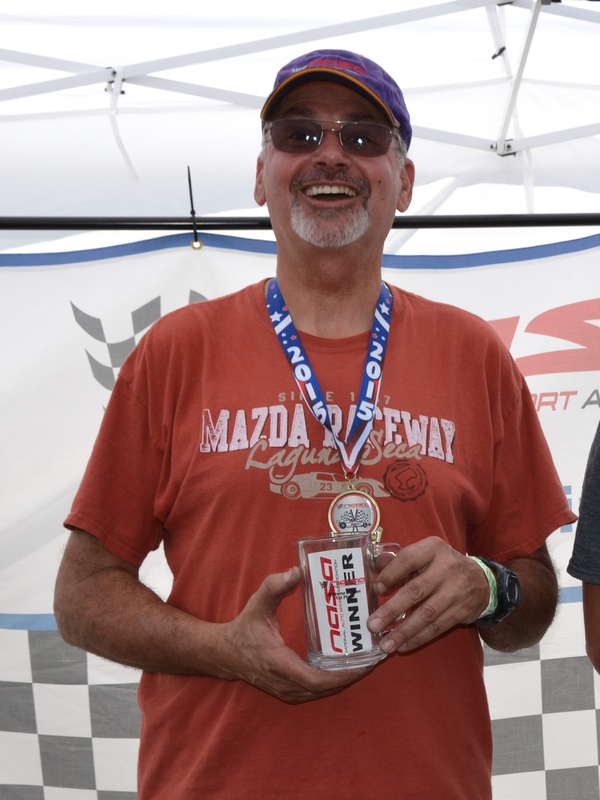 As the new PT Series Leader for NASA AZ, Hal hopes to grow the class and encourage more drivers to try it. He notes that lack of updated information and accessibly online have hindered the group and hopes to make some changes so that more people can see that PT can accommodate a wide variety of cars and budgets. Other future plans might one day include dusting off another Mustang that is nearly complete sitting in his garage, possibly starting up an AI group in AZ and maybe driving the Nurburgring that he also saw from air many years ago. How long have you lived in AZ? Native! Ever see a flash of purple go by you in the paddock? That would be Zack Niemeyer on his skateboard! At 22 years old, Zack is one of our youngest regulars in the Time Trials group. He is an Arizona native, growing up in Cave Creek. In May, he graduated with his Bachelors in Mechanical Engineering from ASU. 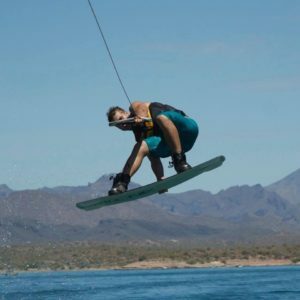 He has always been active playing various sports, skateboarding, snowboarding and was even on the ASU Wakeboarding Team for the last 4 years. When he isn’t in the water or racing, he spends time with his girlfriend of 2 years, Jennifer, who he met during Spring Break in Lake Havasu (oh to be young!). This is a big year for him, he also closed on his 1st house in Tempe last week! His journey into NASA AZ began when he purchased a 1990 Nissan 300ZX Twin Turbo. One day, he was inside a local race shop and saw a picture on the wall of a similar 300Z. Turns out the picture was of Brett Lengel driving at a NASA event. Zack, not knowing a thing about track days, asked the shop guys about the picture and they led him to NASA AZ. 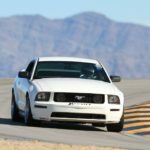 In May 2011, he took the plunge and attended his 1st HPDE1 event at INDE Motorsports Ranch with Norm Hamden as his in-car instructor. He was instantly hooked! He quickly moved through the HPDE program and settled happily into HPDE4. After some gentle pressuring from group leader, Robert Rose, he decided to make the jump into Time Trials. He started in TTD and recently (amid much fanfare) moved into TTC. He has proven himself a worthy competitor, finishing on the podium at all 9 Time Trials events in 2015! He plans on going to NASA Competition School in October and should be active in Race Group in 2016. Zack’s love of cars is hereditary. 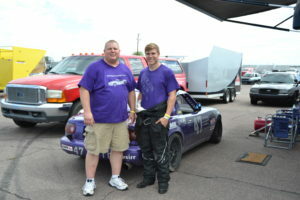 His father, Rick Niemeyer, is also a car enthusiast. Rick attends all track events with his son and also happens to be his #1 sponsor. (Funny how that works!) The two man team does 100% of the mechanical work on the car themselves. Their only outside help is from Tony Szirka who regularly tunes the car at UMS Tuning. The team is currently prepping the Miata for the NASA Western States Championships at Laguna Seca. Like most seasoned drivers, it will be a race to finish before they hit the road next week. In June, the cars engine detonated leaving the team to rebuild over the last few weeks. It will be Zack’s first time driving outside the Arizona Region! 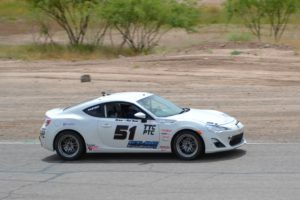 You’ll be able to follow this young driver as he races for the podium at NASA Western Championships July 31- August 2, 2015. The dogs of NASA AZ! I love our NASA AZ family. Attend a drivers meeting, a download or simply walking around the paddock and it’s does not take long to realize what makes our club so special. It’s the people (and pets)! Drivers, spouses, crew, friends and yes even our furry little friends. 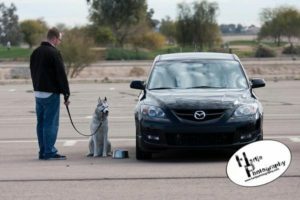 As drivers, we bring our family and friends, so why not also bring man’s best friend too? 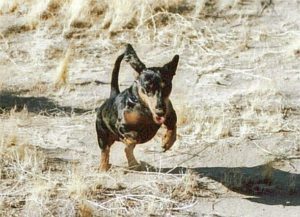 It’s been a long time since we’ve produced a “Who’s who” article but in lieu of a specific driver, I wanted to spend a little time focusing on some of the “track dogs”. 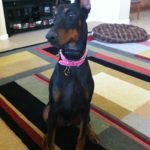 If I missed your pooch, it certainly wasn’t intentional and if you regularly bring your dog to the track, hit me up and we’ll add on to the article. At the end of the day, no matter how big we get, I strive for that small town feeling where everyone simply knows everyone! Miko hanging out with Dad in the shop. 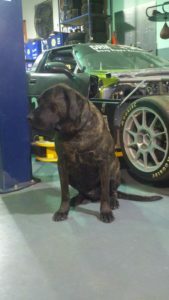 Owner: Brent Crosser – #206 C4 Corvette (SU)Miko is 3 years old and is an Old English Mastiff. He spends a lot of time in the shop back at home but he has also been going to race tracks (and everywhere else Brent goes) since he got him. Brent’s oldest daughter found him at the dog pound. He was 9 months old, covered with ticks and was full of worms. They figure he had been abandoned and living in the woods for a couple of months! When Brent fires up the semi to go racing, Miko comes running to the passenger door and sits there as if to say, “You’re not going racing with out me!”. At the track, he sleeps in the trailer with Brent (awe!). 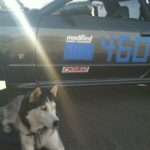 Miko is a great track dog. He just hangs around the Crosser paddock area (unless the neighbors are barbequing then he may wonder over begging for food) until Brent puts on his driving suit, then he knows he is on his own and goes to the front of the trailer and lays down until he hears the car come back. Harley is a 3 year old mini pin. 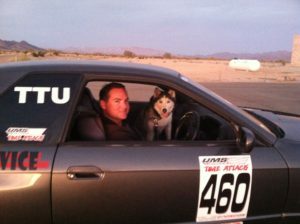 He has been going to the race track since Jim started with NASA back in May of 2011. He loves to ride on the quad in his basket and hear the roar of the race cars and trucks. 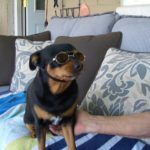 He also loves to ride motorcycles and stays AZ DOT legal by wearing sun glasses to protect his eyes from the air/wind/sun. Despite his tiny size, this brave little dog is not afraid of much, including Miko! Let’s let our hair down and ride! Really Mom? Did you have to publicly *shame* me at nasaaz.com? 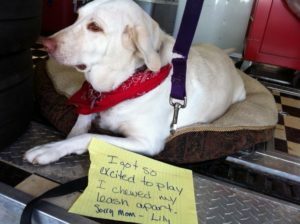 Lily is a 5 year old white lab. Jeremy and his wife Angie got her when she was 6 weeks old just after Christmas in December 2007. She attended her first track event in January 2008 at FIR West. She was so tiny and didn’t know how to walk on a leash so Angie had to carry her around the paddock (awe!). 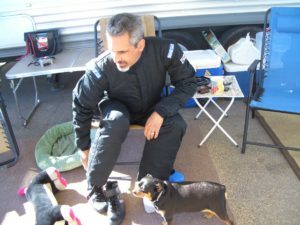 When we used to race at PIR, Lily would come out to every event. They would bring her out Friday night while Jeremy was sitting up his pit, and back out on Saturday nights for the NASA BBQ. She is a people magnet; everyone loves to “come say hi” as she is always smiling and happy! When we go out of town, Lily sleeps in the trailer, on her dog bed, right next to the couple on their mattress (and she tries to creep up on to the mattress with them throughout the night!). She loves to see us packing up for an event and gets extremely excited when we put her collar on because that means SHE’S COMING TOO! As if inheriting a dog based off a single drunken comment wasn’t enough, family and friends soon heard of Leland’s new dog ownership status and quickly jumped at the opportunity to drop off “Dede” when life’s struggles didn’t allow them to take care of her anymore. As if going from “0” dogs to “2” dogs in about a 1 week time span wasn’t enough, 3 weeks later when returning from work, Leland found Dede had given birth to five additional puppies! The good news was Leland was able to find homes for them all when they were old enough to leave mama. 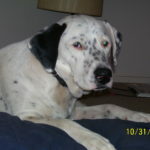 Lexa is believed to be a Dalmatian & Lab mix and approximately 4 and a half years old. She holds a record of 0-30 as a professional Lizard Hunter and will at any time share her licks and/or fur coat with anyone. 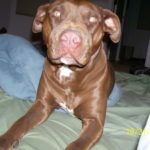 DeDe I think is a pitbull or looks like one and approximately 4 and a half. She is a wiggly handful, runs crazy fast and on any given cold or blazing hot night while ever so gingerly will sneak into Leland’s bed when he’s sleeping. Dede is more of a hand full at the track and sisters need time apart every now and then. Gabe Wiley basically stole DeDe last time she was out(doggy sat for me). Lexa likes the race track and liked to chew on the marbles of PIR nascar t3. Lexa did release my fire extinguisher latch with her leash just before fir east sb race last year… had to pull in for Paul B to put back in place. Beamer is 9 years old. 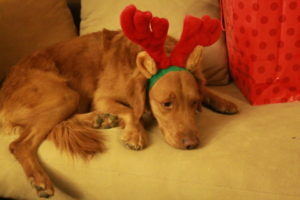 He’s your typical Golden Retriever-very loyal & very mellow. 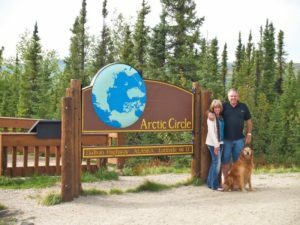 He sleeps on the floor-at home & in the fifth wheel with Mark (and sometimes his family). He loves to travel but not fond of loud noises! Never wanting to miss an opportunity to be part of the action, he reserves his spot in the truck whether we’re packing for the racetrack or a 3 month Alaskan adventure! Sorry Russ, you can’t be a passenger while Naudia is driving on track. Naudia is 10 years old and a wonderfully calm and peacefully puppy. She’s still really active and loves to run and play at home but has no problem with, and doesn’t have to be told to chill out when things are calm. According to Russ she will just lay at your feet and chill while he is doing whatever. Russ’ girlfriend Tara got her when she was just a puppy and has had her ever since. She sleeps pretty much wherever she wants to. Sometimes she wants to stay outside and enjoy the weather but lately with the colder weather she’ll sleep on her bed in the living room or at the base of mom & dad’s bed. She is an awesome traveler making it an easy decision to bring her along! Every time Russ & Tara take a trip Naudia gets so excited to go and makes sure she stays on her best behavior. She really seemed to love the track so expect to see more of her with Russ! Justin adopted Zeke from a friend ~2007’ish when he was a little over 6 months old. He’s an Alaskan Husky. He’s still very hyper and loves people, so bringing him to the track is a bit of a chore. With Justin working tech and safety makes for a busy weekend and doesnt leave much time for the attention that these typically hyperactive dogs require. With that said, he normally stays at home during in town events and with friends when we’re out of town for the weekend but NASA AZ regulars will see him on occasion. Zeke loves to hang out in the garage with Justin and he will lay in the grass on lookout while he washes the cars in the driveway as well. He doesn’t howl, bark or get overly excited at loud cars or noises, but he does recognize aftermarket exhausts. When a ricer drives by, his ears perk up and he may glance towards the window, but deeper turbo cars will cause him to run to the window next to the front door. We’ve had Koni and his sister SeeBee since they were just tiny pups. His sister passed away when I was at Nationals in 2011 (sniff, sniff). 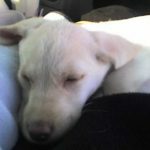 The wife and I argue how long Koni was a “(bad) pup” for but it was somewhere around 7-9 years before he calmed down. Those first years were not all that great. LOL! 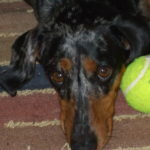 He dug holes, destroyed carpet/furniture, shed more than physically possible for a dog his size, ate more than he should, was terrible with kids and was pretty much an all around bad dog. Then around that 7-9 year mark he magically transformed into a GREAT dog. He has a lot of silly nicknames like “Korn Cob” or “Koni-Korn-a-cola” but our favorite and most often used is “Korn dog”. 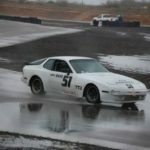 Todd (aka – “superv” on our forum) is a part time NASA course flagging marshall and has been working his way up the HPDE program. He has four dogs! Every one of them came to his house as either a rescue dog or dogs looking to get rescued by showing up and never leaving! Isis is a 2 year old black and tan female and Anubis is a male black and tan. Anubis is only 10 months old yet he outweighs Isis by about 20 lbs. already! He is a big boy! 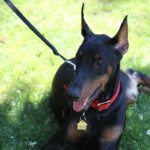 Despite the Doberman Pinscher reputation in pop culture as vicious guard dogs (*sigh*…thank you, Magnum PI), dobermans are lovable and extremely friendly and make excellent family dogs. 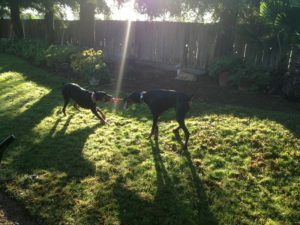 Isis is very well trained and knows several commands but her younger brother, Anubis, is still learning. Isis and Anubis love to travel and hang out around the RV with mom & dad at nearly every NASA AZ event. 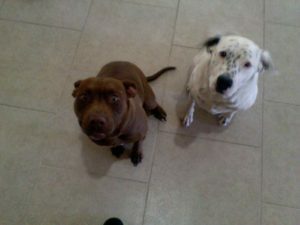 They are very friendly with other dogs (and people) so feel free to stop by and say hi!